So let’s set the scene. You’ve got a hankering for a chocolate brownie, but you don’t have any chocolate in the house, its raining outside so you don’t want to go to the shops, but you do have some cocoa powder and a couple of bananas on the bench that have seen their better days – solution! Chocolate Banana Brownies. 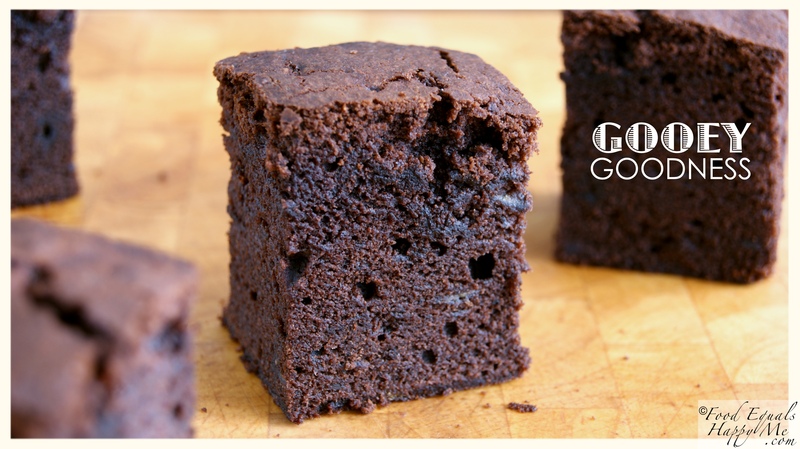 These brownies are a bit of an evolution of a Donna Hay brownie recipe that uses only cocoa powder, I think she even refers to them as stand-by brownies because you can make them with things that are usually in your pantry already. I wanted to add another level though, a bit more gooeyness, and how better to do it than with some delicious bananas. We all know that chocolate and banana go so well together, and these little beauties have a subtle banana flavour amongst the rich chocolate. Plus the bananas add moisture and helps to give the brownies more of a fudgey texture, just what you want from a brownie. Place the butter, sugar, brown sugar and vanilla in the bowl of an electric mixer and beat until light and creamy. Add the eggs one at a time beating well after each addition. Add the banana and mix to combine. Sift the flour, cocoa powder and baking powder into the bowl and mix until just combined. Pour the mixture into a square tin lined with baking paper and smooth out until even, tap the tray lightly to make sure there are no air bubbles. Cook in a preheated oven at 170 degrees celcius for 40-45mins or until set. Try to make sure that it is only just set, its better to be a little undercooked in the middle than overcooked as this mixture can be more cake like than brownie if it is overcooked. The key is to make sure its a little undercooked to retain the gooeyness that you want. 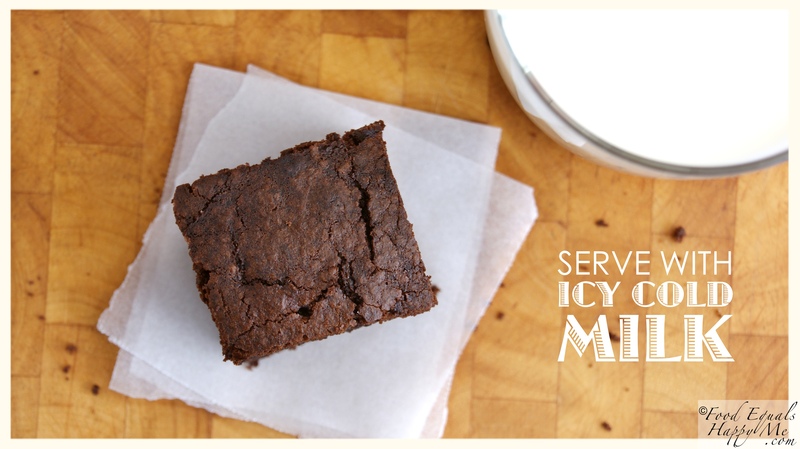 Cut into squares and enjoy warm with a glass of icy cold milk. I just made these and they were fantastic! I had a little trouble with how much butter to put in because I’m not used to ounce measurements for butter. But it was like 1 1/2 sticks, I guess? Whatever I did it must’ve matched up to the one’s you made (Same with the oven temperature since mine’s not in Celsius… I rounded to like 340 degrees Fahrenheit) because they turned out deliciously. I could eat these brownies till I die. Thanks for the recipe! These look amazing. 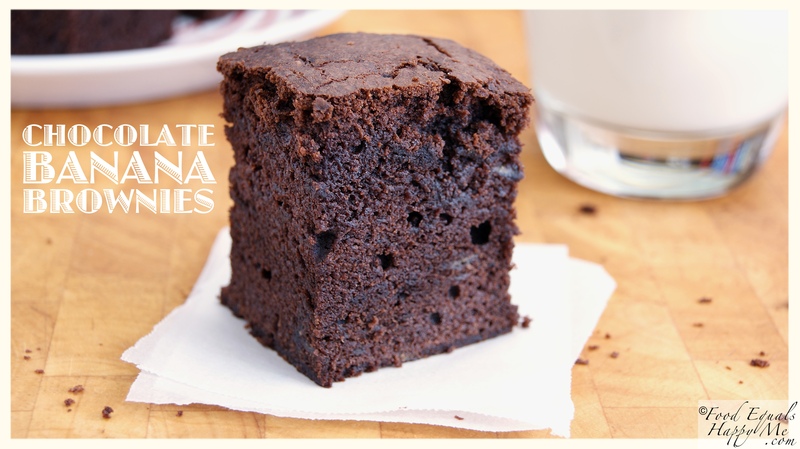 I love adding bananas with chocolate… what a great treat these would be! Stumbled across this recipe on pintrest while trying to find a use for the dozen ripe bananas in my kitchen- they turned out great! Thank you! These look so amazing…can’t wait to try this recipe! Mmmm, these look delicious, I had to share your blog with my readers! 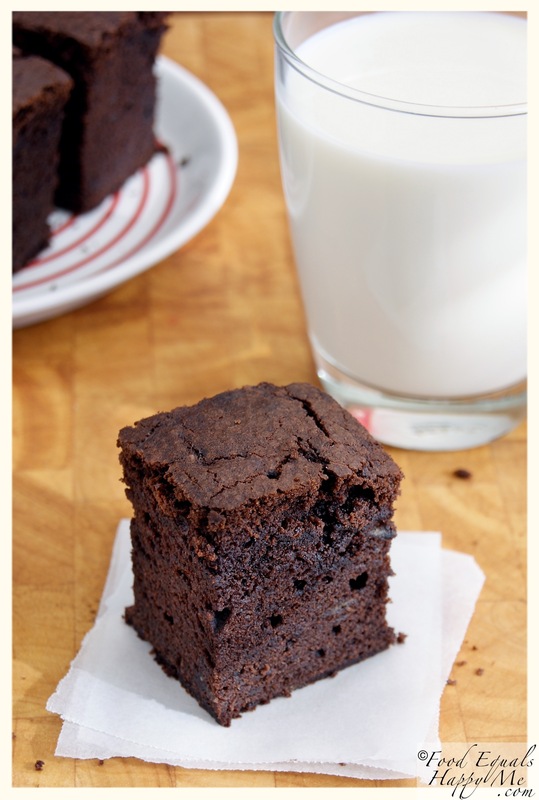 Some day I’ll have the drive to make these delicious brownies, and then i’ll be doing more than drooling over the ingredient list and the gorgeous pic! How much butter in cups? I googled it and it looks like a little of 3/4 cup. I usually weigh butter as I find it easier, but I think 1 cup of butter is about 225grams of butter. So yes I’d say 180g is about 3/4 cup – good luck!